When you can control the matter, your soul knows no limits in creation. You can shape your dreams, giving life to extraordinary experiences. This was the goal of the marriage between Bobič Yacht Interior and Marmor Hotavlje. 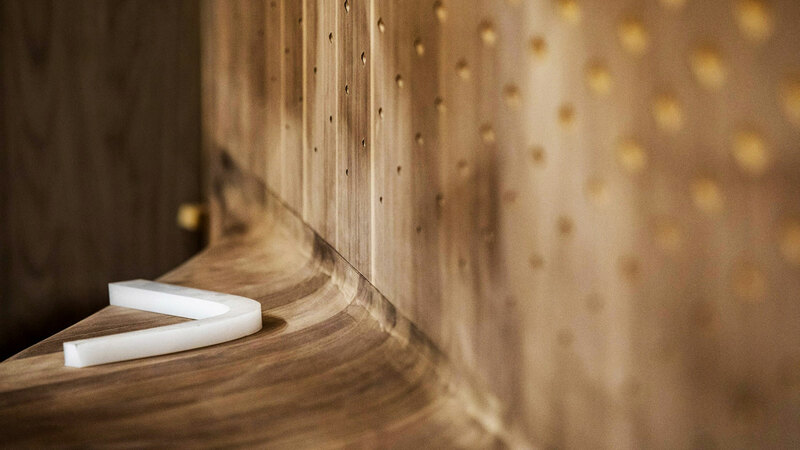 Shaping an immersive cocoon experience thanks to their expertise in crafting two noble materials: the wood and the stone. Pininfarina Architecture was called to challenge their abilities: designing the extraodinary to let them make it real. High quality, durability and the aesthetic beauty of furniture places the Bobič Yacht Interior among world’s best producers of yacht furnishings. A family tradition started in 1960, when Jože Bobič Sr. started the company and today his son and grandson continue the legacy and the almost 60-year-long tradition. 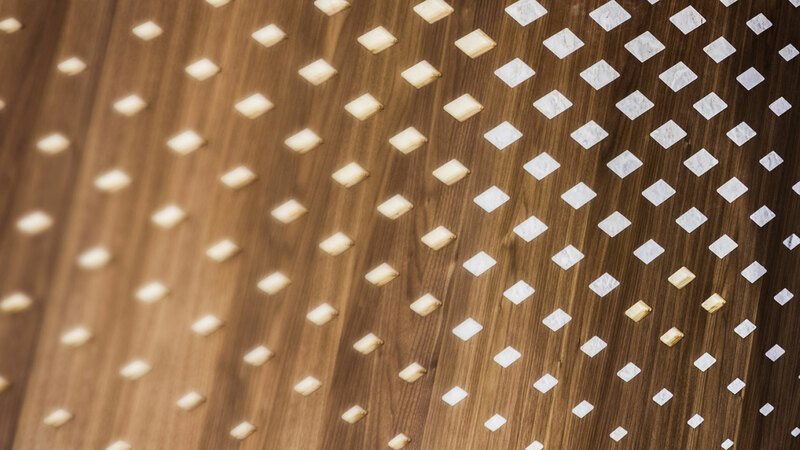 Production is continuously being improved with the latest technologies and perfected through collaboration with highly skilled carpenters, engineers and designers. Today, the Bobič company is specialised in the production of high-quality interior furnishings for yachts and mega-yachts. However, our portfolio also includes furnishings for business jets, deluxe office furniture, and luxury residential interiors, both for new builds and for renovation projects. 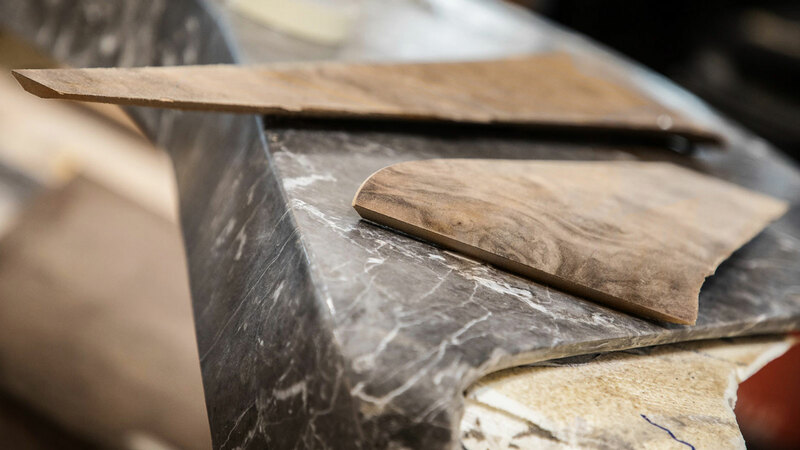 Internationally renowned, Marmor Hotavlje was founded in 1721 and boasts a long experience in the creation of natural stone products. Marmor Hotavlje uses many varieties of stone – including marble, onyx, semi-precious stones, quartzite, granite, sandstone, limestone – in its manufactures, and is also able to supply customers with other types from all over the world. The company offers complete solutions, which encompasses the advice provision of the selection of stone, measurement-taking and design, together with the entire production, installation, protection and maintenance of its products. 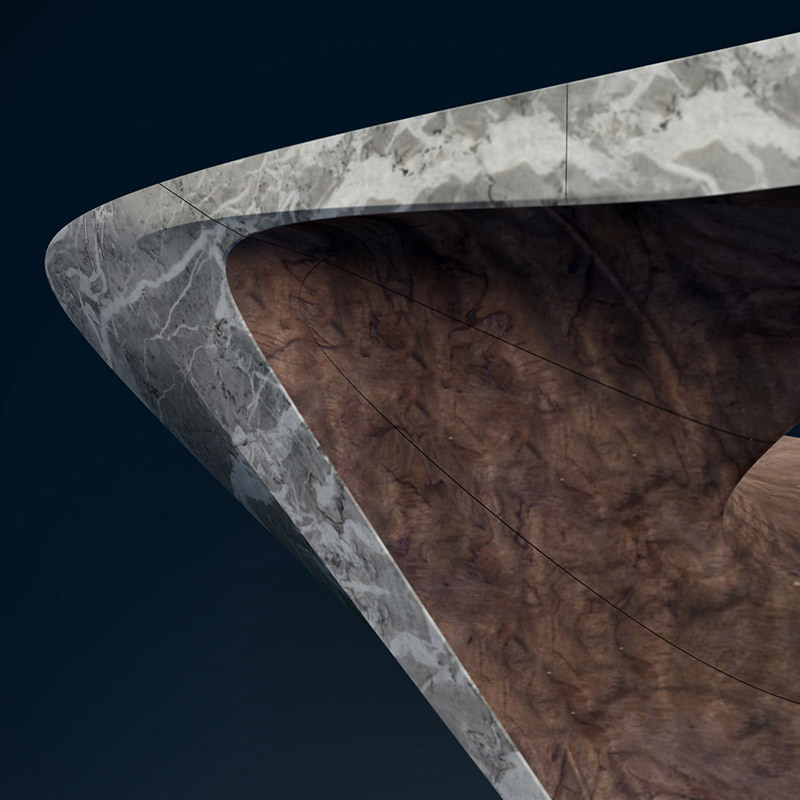 Marmor Hotavlje is an increasingly sought after provider in the most demanding segment of private luxury yachts, elite hotels, private villas and residences and boutique office furnishings. 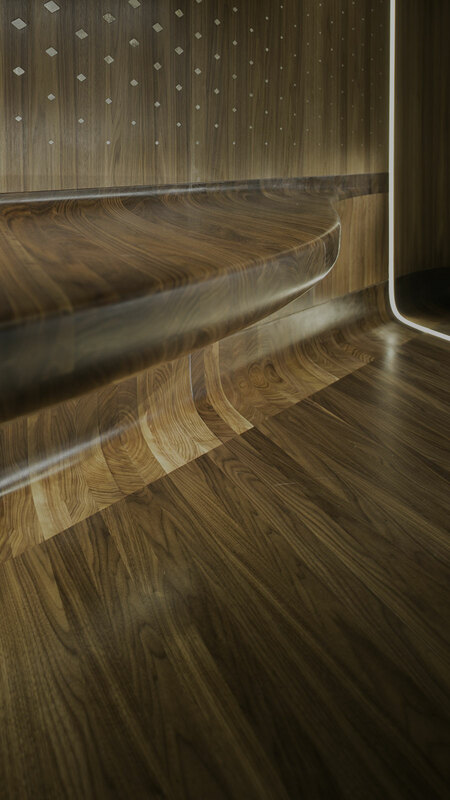 The result, to be unveiled at the Monaco Yacht Show, is a space able to caress you and to make you live different sensations. Cold and warm, rigid and soft, light and dark. 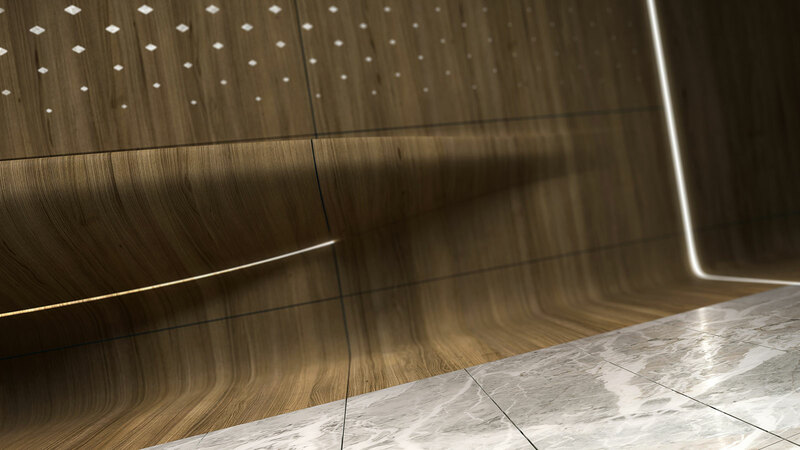 Are you entering the saloon of a superyacht? The cabin of a private jet? Or the living room of a luxury villa? 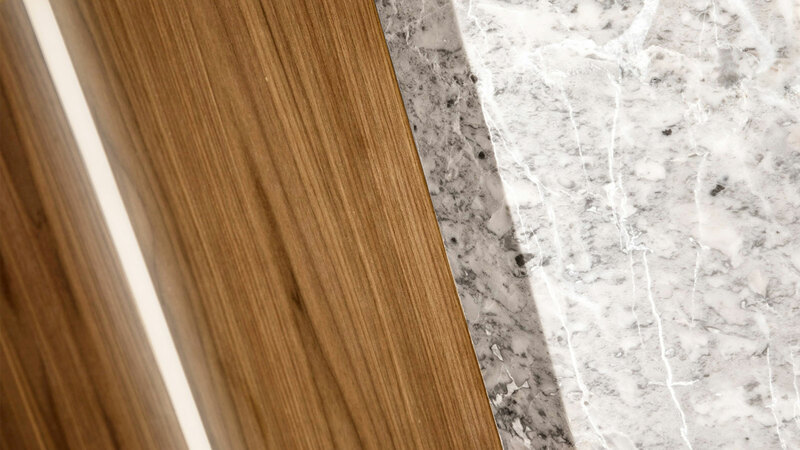 The noble elegance of the stone – masterfully crafted by Marmor Hotavlje – welcomes you in the entrance and soon, surprisingly, melts with the wood – skillfully shaped by Bobič – to invite you to proceed the journey. 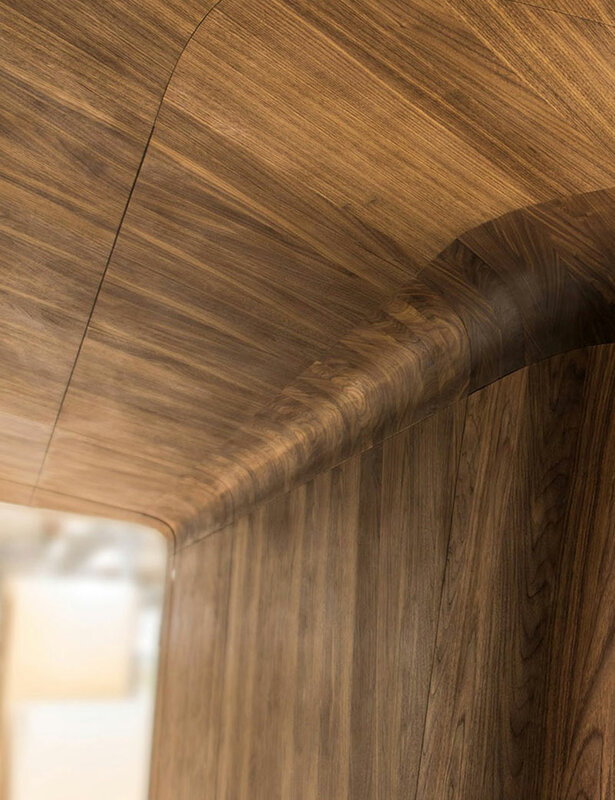 The fluidity of the walls lead you naturally at the center of the space where you will find the heart: a sculptural desk made of stone and wood. A pulsating heart originating the whole structure.